You hate having to put your pet in a box, but trips to the vet require a sturdy carrier. 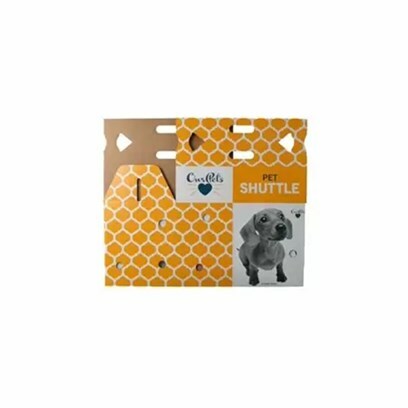 The Cosmic Pet Shuttle Cardboard Carrier is the best cardboard shuttle in the industry. It has an automatic easy-locking bottom and an extra cardboard insert that is plastic coated to retard moisture and create a solid bottom. See directions on packaging for easy set-up.